Our Coir rugs and runners are available in rich natural shades or bleached lighter hues yet all have a depth and warmth that harmonises equally well with modern or traditional interiors. Coir rugs and runners from The Natural Rug Store are bespoke and prices are based on your rugs configuration. To design your own no-obligation Coir rug or runner please visit our Rug Builder or browse our collections below. 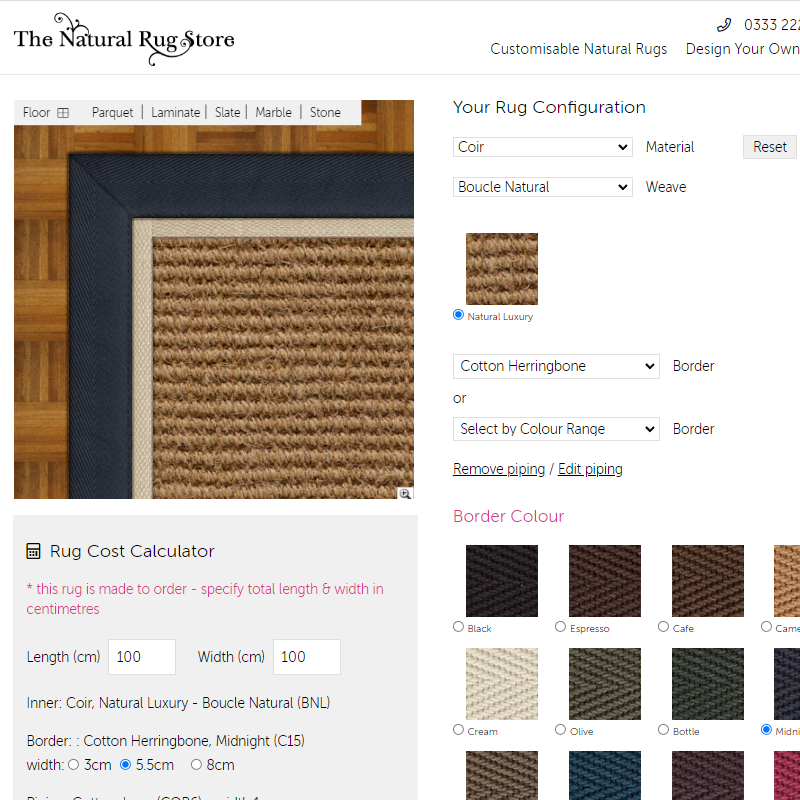 Use the Rug Builder to design your own superior quality Coir rug or runner. Create and save as many rug designs as you wish, and when you're completely satisfied, buy securely online! Coir from the husk of the coconut palm comes coir; one of the most durable natural textiles. As with all natural fibres Coir is unsuitable for use in any areas where high moisture levels are likely. Coir is one of our most durable materials. To compare coir against our other natural materials please see our Suitability section.